Spring Clean 2011 – thank you! On Saturday April 2nd Clane Tidy Towns held the annual Spring Clean for Clane, armed with a National Spring Clean kit from An Taisce, and the support of Kildare County Council and Clane Community Council. With some volunteers getting a head start earlier in the week, by the end of the day a substantial mound of rubbish had been cleared from our approach roads, country lanes, Liffey-side park, streams and rivers. The weather was kind, fresh air was enjoyed, and friendships were made and renewed. There were some surprises on the day too, including close encounters with some lobster-like animals – White-Clawed Crayfish – in the River Liffey! 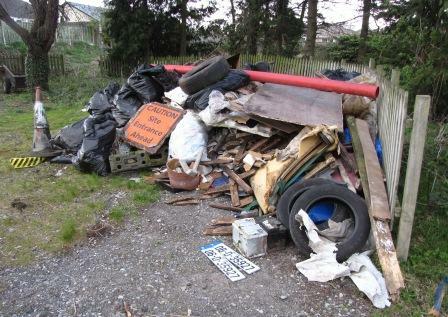 Although two tonnes of general material had to be collected by Kildare County Council and sent to landfill, this year a substantial amount of the rubbish collected was metal and was segragated and is being sent to a scrap metal merchant. Similarly, the timber reclaimed has been kept for recycling. 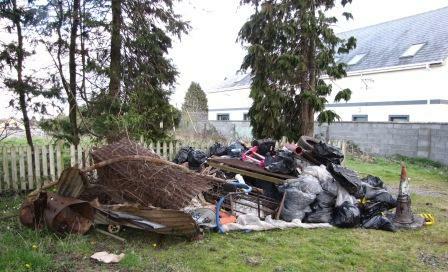 Congratulations to all the volunteers who helped make Clane Spring Clean 2011 a success, and thanks to Cllr. Pádraig McEvoy for arranging the support and his hands-on help on the day. Please help us keep Clane beautiful, and report any dumping you may observe to the local Gardaí or the Kildare County Council litter warden. If you have some time during the week and would like to help Clane look its best this summer, why not come out and lend a hand with Clane Tidy Towns. They are kicking off their 2011 programme with a cleanup on Saturday April 16th, meeting at 10:00 AM at the Stream Park outside the Abbey. All are very welcome. 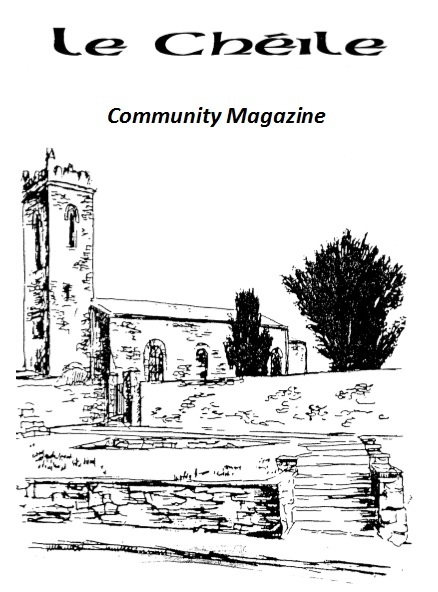 This entry was posted in Clane Community Council, Event, Tidy Towns and tagged Clane, Spring Clean, Tidy Towns on April 3, 2011 by jkennedy.